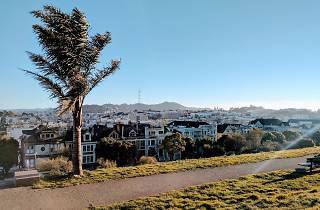 This four-square-block hilltop park is the geographical twin of Alamo Square located about a mile away. Alta Plaza’s southern side is dominated by a broad staircase passing through three hillside terraces dotted with park benches. On sunny days, the views from the park’s north side sweep all the way out to Alcatraz Island. 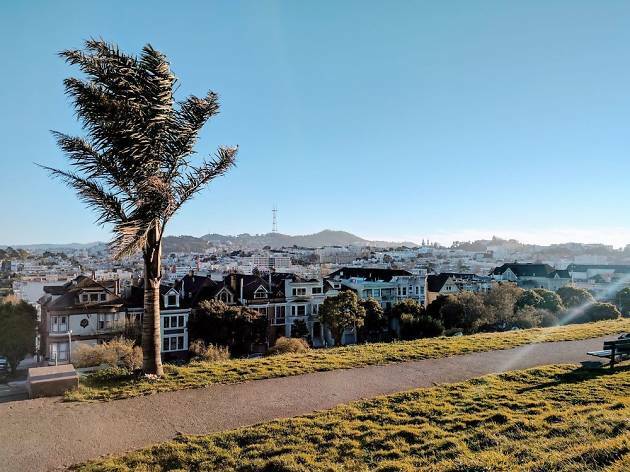 Even on chilly days, you’ll find Alta Plaza bustling with families at the playground, athletes running the stairs or playing tennis, and dogs bounding around the north-side green.